"Because it should be treated as a person from conception, the embryo must be defended in its integrity, cared for, and healed like every other human being." See MCC Testimony for Bill Promoting Adult Stem Cell Research, (pdf) May, 2011. See MCC Testimony against Bill Expanding Embryonic Stem Cell Research, (pdf) April, 2011. See MCC Testimony on Bill Promoting Adult Stem Cell Research, (pdf) January, 2011. See Bishops' Statement (pdf) on Stem Cell Issue, December, 2007. See MCC comments on Embryonic Stem Cell Regulations,(pdf) September, 2007. See Bishop McManus' Statement on Governor Patrick's Funding Proposal, (pdf) May, 2007. See Mass Bishops' Response to Governor Patrick's Proposal to Expand Stem Cell Research, (pdf) April, 2007. See MCC Q & A on Stem Cell Research, (pdf) March, 2005. See Bishop McManus' OpEd on Cloning, (pdf) March 2005. See Bishops' Statement on Cloning and Research on Human Embryos, (pdf) March, 2005. See Bishop Reilly's Statement on Cloning, (pdf) November 2001. See Pastoral Letter from Bishop O'Malley (pdf) (Fall River), November, 2001. See MCC Memorandum on Legal Status (pdf) of the Human Embryo, October, 2001. See Statements on Stem Cell Research, (pdf) Cardinal Law & Bishop O'Malley (Fall River), August, 2001. See Statements on Stem Cell Research, (pdf) Bishop Reilly & Bishop Dupre, August, 2001. For bioethics questions examined in Dignitas Personae, click here. 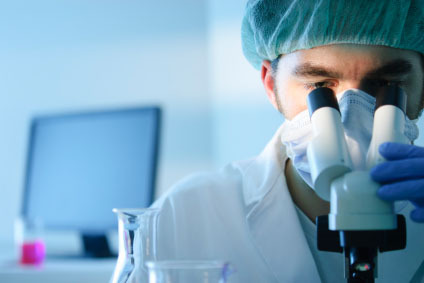 For a USCCB compilation of practical problems with Embryonic Stem Cell research, click here. See USSCB document, On Embryonic Stem Cell Research. Visit the Pontifical Academy for Life's Declaration on the Production and the Scientific and Therapeutic Use of Human Embryonic Stem Cells.